CFLs contain a very small amount of mercury sealed within the glass tubing – an average of 5 milligrams (roughly equivalent to the tip of a ball-point pen). 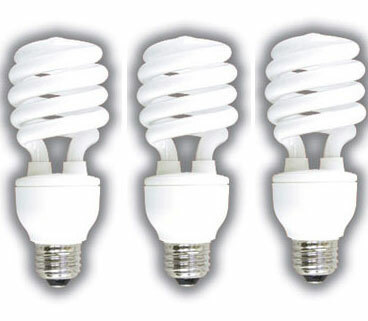 Mercury is an essential, irreplaceable element in CFLs and is what allows the bulb to be an efficient light source. By comparison, older home thermometers contain 500 milligrams of mercury and many manual thermostats contain up to 3000 milligrams. It would take between 100 and 600 CFLs to equal those amounts.